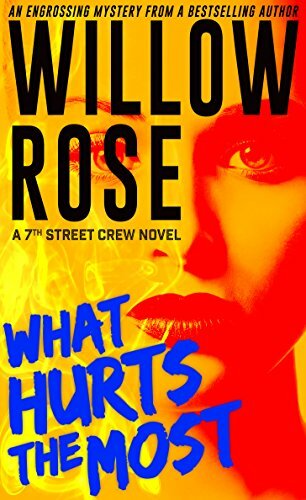 This top-rated mystery-thriller series is on sale for a limited time to introduce you to the wildly popular 7th Street Crew Series from the bestselling author Willow Rose. We hope you enjoy! You will never guess the ending! ˃˃˃ What Hurts the Most is a chilling, fast-paced story of murder and revenge. It’s the first in Willow Rose’s new series about Mary Mills and her childhood friends from 7th Street. It is full of the twists and turns that Willow Rose is known and loved for by readers all over the world.